If someone goes on this tour, make sure to hand Justin Broadrick a telephone to signify that this album has been phoned in. As the term implies, when content creators are no longer focused on making their work significant, an “it’ll do” mentality results. This fits within what Godflesh and related Broadrick-acts have done through their careers. In the early 1990s, everybody who was anybody had a Godflesh Streetcleaner t-shirt. That album broke out of the usual problems with industrial, which is that it was generally either rhythm music without beauty or dance music without aggression, and escaped the tendency of metal to be as intense as possibly by mixing in aspects of melody from crustcore and indie rock. Since that time, Godflesh creators have spent their time searching for Selfless II. The crisis is that they are unsure of why that album is so revered. The band began its career with the rhythmic but amelodic Godflesh EP, which became repetitive and noisy but never rose to the level of grace of the album afterward, Streetcleaner. On that album, song structures expanded and use of melody and guitar harmony gave it a power beyond what the EP had. Then came Slavestate which introduced more of a techno influence, but underneath the skin was the same looping song structures with little more than rhythm that defined the EP. 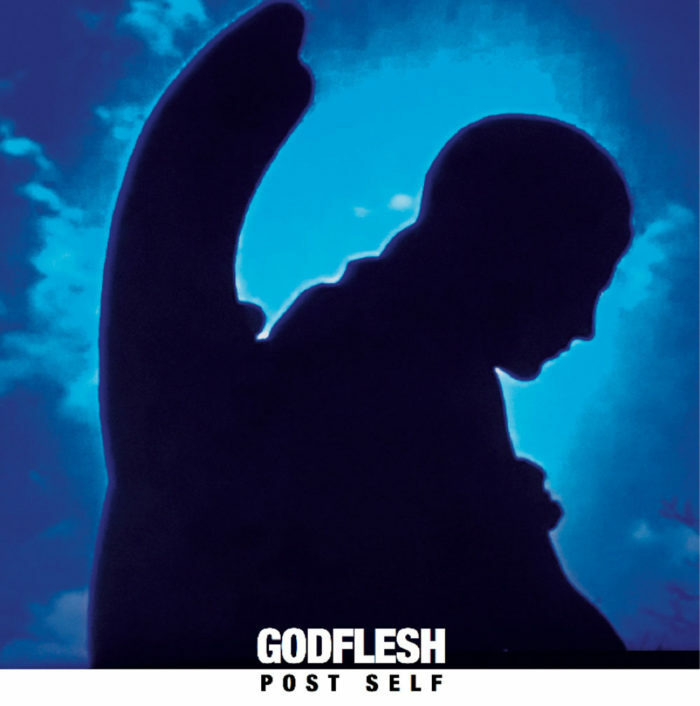 After that, Godflesh tried Pure which attempted some melody, and when they were accused of being too “rock” on that album, Selfless which went back to tuneless droning in an industrial landscape for the most part. After that, the band experimented with alternative rock (Songs of Love and Hate, later resurrected in one of the bravest experiments in popular music, Songs of Love and Hate in Dub) and lost direction until Broadrick found Jesu as an outlet for his shoegaze/indie hopes. He kept enough of the metal and crustcore (remember his role as founding member of Napalm Death, which essentially combined crustcore and DRI-style thrash to make a new art form). But with the second album, Jesu lost its independent voice and became indie/shoegaze entirely, thus dispatching legions of not just metal fans but those who seek something unique. The second mistake made by this band strikes me as more crucial. People create great albums in just about any genre but they need to introduce enough complexity to be able to clearly express an experience and corresponding feelings so that the audience can identify with the work and appreciate the viewpoint it illustrates. Napalm Death for example on its early albums succeeded by using individual songs as phrases in what essentially became a longer atmospheric work, but few people listen to it on a daily basis because it is mostly novelty. Not many people hail the Godflesh EP either because despite being a stylistic outlier, it makes for poor listening unless you like droning chromatic grind. The band lacked enough to express itself. With Streetcleaner, the band not only nailed style (mistake 1 rectified) but also nailed content (mistake 2 fix) by introducing enough complexity in song structure, melody, harmony and riff shape to be able to create atmosphere and manipulate it. Everything the band has done since, with the possible exception of Love and Hate in Dub, has focused on a one-dimensional approach where style is substance. While this “the medium is the message” makes sense in an academic setting, with music, it cuts out what Godflesh do well. 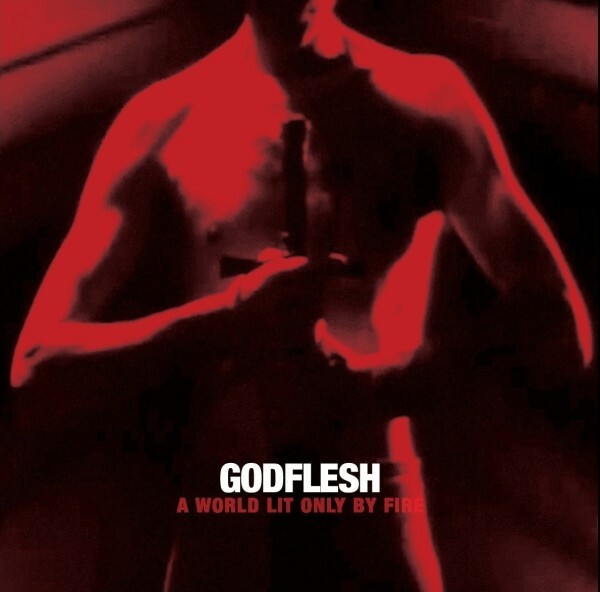 At this point, the meat of this review — the part that actually focuses on the new Godflesh album A World Lit Only by Fire — should be fairly obvious: Godflesh reverts to the mistake it made on its initial EP, Pure and Selfless and makes an album that is abrasive but repetitive and fails to introduce the elements of tension that gave Streetcleaner its power. 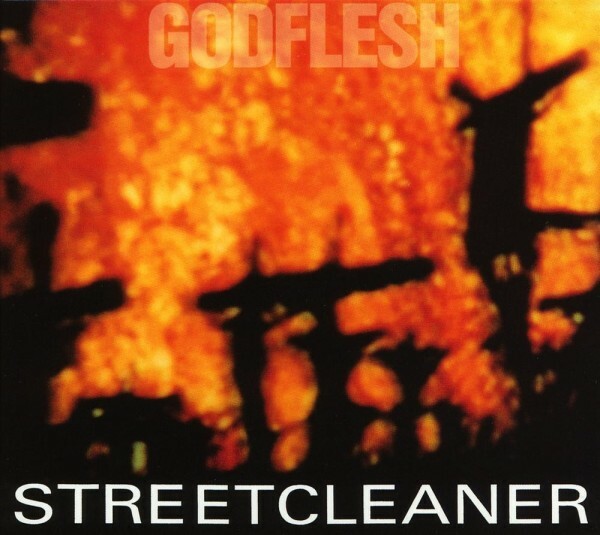 If Godflesh finds a way to make an album like Streetcleaner in any style, even disco, it will take over the world. But that did not happen here. Songs are for the most part simple loops of verse and chorus riffs that while musically competent are essentially boring and rely on rhythm — very similar to Selfless — both in driving riff and in having an offbeat conclusion to each phrase. Over that, vocals rant out a phrase or two. The second half of the album improves with “Curse Us All” which has a powerful rhythmic hook, but the band never develops any of this potential into something with enough depth to want to revisit. This reveals that Godflesh has confused error 1 (style) with error 2 (content) because style cannot magically create content; it can only fit content and thus make it easier for the artist to visualize the content he or she is creating. Thus what we get is an album that sounds like classic Godflesh, but misses out on both voice and substance of classical Godflesh. Summary: Selfless II. While that seems unusually cruel, even for a site known for its unrelenting musical cruelty, the greatest cruelty would lie in rubber-stamping this rather droning for fan consumption with the formula that most reviewers will endorse: “It’s hard like Streetcleaner, therefore it must be Streetcleaner II, not Selfless II.” This rubber-stamping displaces the funds that fans could spend on a better album and instead redirects them into what ultimately appears to be a dying franchise here, but also, lies to the artists about what they do well. They do not know, as is evident here. What made Streetcleaner great was a fully articulated style that did not slide into Pantera-style angry-bro rhythm music nor wandered into fixie-and-Pabst self-commiserating shoegaze. It took the best from all of its influences, including death metal, and made from it a voice unique to Godflesh. They can do it again; A World Lit Only by Fire is not that album however. Sometimes great albums happen. Multiple forces converge — influences, musicians, leaders, ideas, opportunities — and everyone involved becomes more than they are. They rise above their mortal lives and create something profound enough to live in, a musical world we want to inhabit and take up its struggles and make it turn into the full potential we see nascent within its objects. Streetcleaner falls into this category. 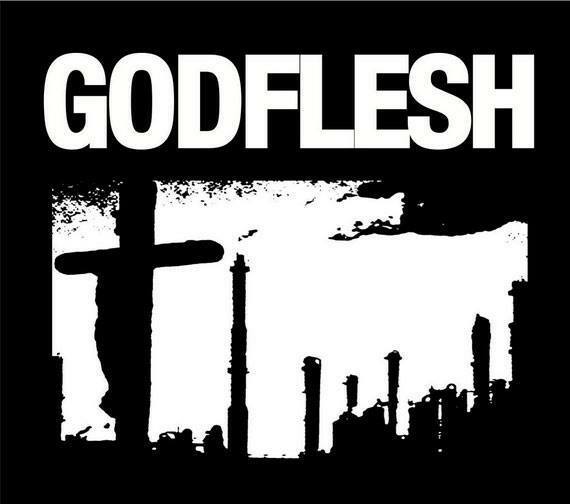 After a stylistically-inspiring but somewhat deconstructive first EP that never really created a direction of its own except aesthetically, the three individuals who comprise Godflesh returned with a new energy. They combined influences from their fledgling industrial grindcore, indie rock and death metal, and came up with an album resonant with layers of potential. Instead of aiming to destroy melody, they built it from the smallest elements so that it could only be seen when those overlapped and only then often by implication, creating a haunting album like an ancient mansion full of unexplored pathways and secret rooms. Slowing down their attack, Godflesh carved time into a space through the selective introduction of sounds which then received an ecosystem of other sonic fragments with which to interact, creating an atmosphere that also had form and narrative. From indie rock they borrowed melancholic but affectionate melodies, from death metal complex song structures, and from industrial the sound that genre had always desired to express, namely a machine crushing human hope like a Charles Dickens novel. Together these influences formed a sound like Killing Joke accelerated into apocalyptic nihilism with the raw sonic experimentation of death metal. Streetcleaner came together like an impossible dream. It borrowed from many musical traditions but the band kept both its own voice and a style specific to the album. What really distinguishes this album however is the content. Streetcleaner captures a range of human emotions in response to the disaster of human emotions that creates our modern world: individualistic selfishness leading to herd behavior empowering vast evils. In putting this into sound, Godflesh opened a dialogue with the darkest parts of our souls and the reason those souls are dark, which is that we know the possibility of light. The band never concentrated its energy in such a way again. The following album, Pure, went back to a higher concept version of their first EP, but never managed the emotional intensity that the interwoven melodic streams of Streetcleaner brought out among the crushing noise and abrasive battle robot rhythms. They swung back the other way toward indie rock for a few more albums, but those went too far into face-value emotion and lost both intensity and honesty. Eventually the band faded out into a series of projects pursuing influences as most senior underground efforts do. However Streetcleaner remains as the apex of industrial music and the album every dark topics band wishes they could make, as well as a profound influence on the rising black metal movement and the second wave of death metal. Much can be said with very little, as is the case with the early era of the experimental titans known as Swans. Their discography ranges from the intensely violent to the melancholically beautiful and their sophomore effort Cop stands out as the perfection of the style present on their debut Filth which acted as the foundation of what was to come. Influencing the likes of Godflesh, Cop launches forth with a cerebral wall of sound crushing everything in its wake like a colossal bulldozer laying waste to a city. The most consistently pummeling album in the Swans catalog — unlike later efforts (namely Soundtracks for the Blind) — attempts to engage its listeners in a gradual and destructive descent into the darkest recesses of the earth rather than projecting a more horror-inspired soundscape. The brooding ambiance conveys a sense of downward direction towards something unknown, like rappelling down a previously unexplored cave. Though arguably not quite a metal release, it possesses heaviness both aesthetically and internally as well as the ability to create an all-encompassing atmosphere of destruction and dark curiosity. 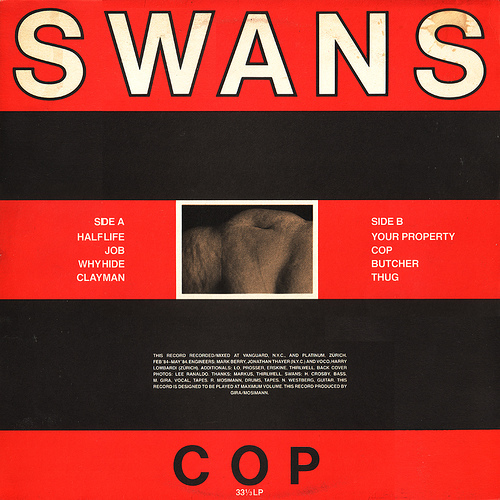 I recommend this album to any metal fan looking to explore the influential and often undiscovered Swans.